Sahadev Poudel interviewing Nepali workers at the Union Square Greenmarket. 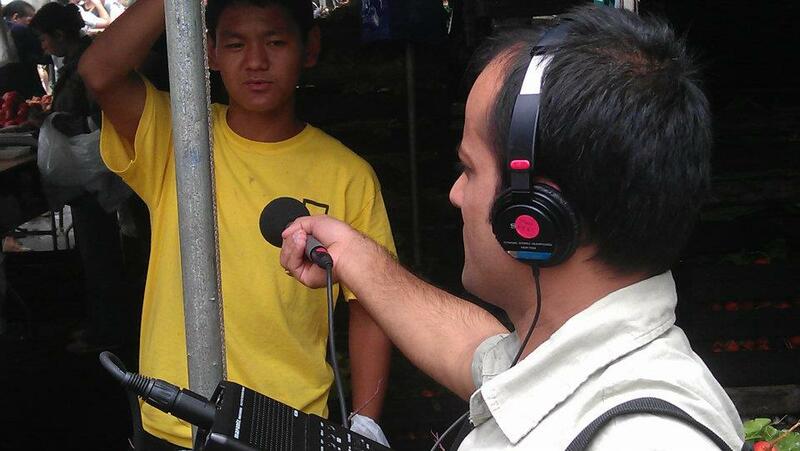 Sahadev Poudel produced this story and audio portrait as part of a Fi2W audio production and story development workshop. “Anybody need help?” Jameng shouts from the Philips Farms stand at the Union Square Greenmarket. He greets his customers loudly because it’s very busy and noisy at the market. Jameng, who is originally from Kathmandu and works as a sales associate at the stand, doesn’t work on the farm. He is part of a growing network of Nepali immigrants selling vegetables around the city. The Greenmarket was founded in 1976 to promote locally grown products directly to New York consumers hungry for fresh, high quality produce. Four days a week (Monday, Wednesday, Friday and Saturday) there are dozens of stalls selling a wide variety of fruits, vegetables, meat, fish and baked goods. About five percent of the salespeople are Nepali and Tibetan and the number is rising because of a tight-knit community network and mouth-to-mouth publicity. 2010 Census data shows there are about 7,000 Nepali immigrants living in New York. But many in the community, including the Nepali-immigrant led non-profit Adhikaar, say that number is far too low. Community leaders estimate there could be around 30,000 Nepali speakers living in the tri-state area, which include refugees and immigrants from Bhutan, Tibet, India, Burma and other countries. Tibetan community activist Lhak Sam says that there are about 8,000 Tibetans living in the New York and New Jersey area. Jameng has been working for four years at the Greenmarket and says he likes the environment. “We used to do farming in our country and that’s the reason we like to work over here,” he said. However, many of the Nepali and Tibetans immigrants working in Union Square said they cannot afford to buy organic products at the market because it’s too expensive. 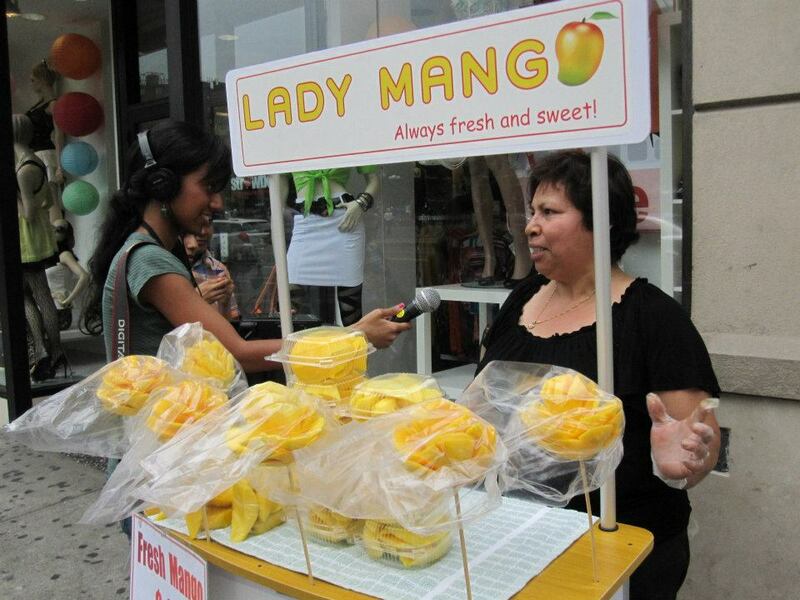 Click here for more Fi2W stories from the Union Square Greenmarket. Will Latinos Play A Key Role in the 2012 Presidential Election?